Hydraulic Heavy Duty Depth Control Valve | Cross Mfg. 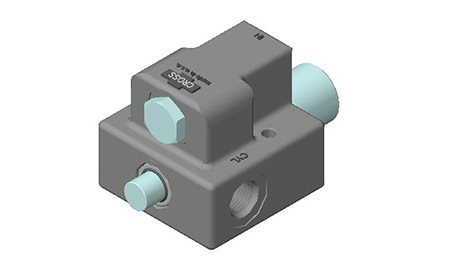 This valve will limit the movement or travel of an implement, boom, or other hydraulically operated device. When the desired travel is reached, the spool is depressed to shut off the flow of fluid to the cylinder or motor. Reverse flow passes through a low leakage built in check valve. Built to withstand severe duty applications. Used in a system with up to 30 GPM flow.